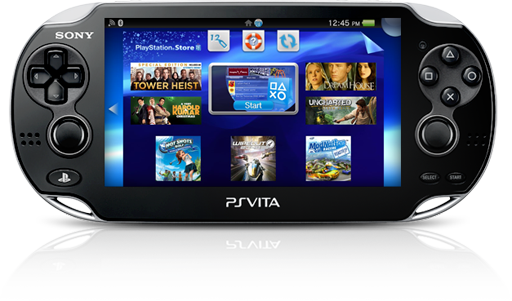 Enjoy the latest features Sony has to offer for your PlayStation Vita keeping your firmware up to date. You can update your PS Vita system software by any of the methods described below. After the update is completed, go to the PS Vita system home screen and tap (Settings) > [Start] > [System] > [System Information]. If the version number of the system update you used for updating the system is displayed in the [System Software] field, this means that the update was completed successfully. Use the network feature of a PS3 system to download the latest update file via the Internet. On the PS Vita system, tap (Settings) > [Start] > [System Update] > [Update by Connecting to a PS3 System]. The latest update file is downloaded via the Internet using the network feature of the PS3™ system. Follow the on-screen instructions to complete the operation. Use the computer’s network feature (Windows / Mac) to download the latest update file via the Internet. Before performing a system update, you must set up the computer you connect to as described below. Download and install Content Manager Assistant for PlayStation on the computer. Check that Content Manager Assistant is running on the computer. The latest update file will be downloaded via the Internet using the computer’s network feature. Follow the on-screen instructions to complete the operation. If you tap [Update System Software], the update will start. Follow the on-screen instructions to complete the operation. PS Vita system software and system software updates installed on your system are subject to a limited license from Sony Computer Entertainment Inc. Visit http://www.scei.co.jp/psvita-eula/ for details. Added [Theme & Background]. You can download themes from (PS Store) to change the icons and backgrounds displayed on the home screen. You can now see how rare a trophy is. Select (PSNSM) and select the title. You can now add other players besides your Friends when you create events. You can now save events received through (Messages) and (E-mail). Select the (calendar file) inside the message to view the event, then select (Options) > [Add to Calendar] to save the event to your calendar. References to the product name on VTE-1000 series system screens have been changed to [PlayStationTV] or [PS TV]. You can now adjust the volume level of your PS TV system. Press and hold the PS button, and then select [Master Volume] on the screen that is displayed. You can now close all windows at once. Select (Window) > (Options) > [Close All Windows] > [OK]. LiveArea can now display up to 6 events scheduled today or later. You can now set the color of the days in the calendar. Select (Options) > [Settings] > [Day Color] on the calendar screen. The operation guarantee for the Content Manager Assistant for PlayStation® has terminated for Mac OS X Leopard and Microsoft Windows XP. For details about the operating environment for the Content Manager Assistant for PlayStation. [Noumea] was added to [Date & Time] > [Time Zone]. Support for Daylight Savings Time was added for Wellington (New Zealand). Several languages were added to [Devices] > [External Keyboard] > [Type]. Languages other than Japanese and English can be typed from a Bluetooth keyboard connected to a PS Vita system or PS TV system. You can now use four wireless controllers simultaneously with a PS TV system. Some games have a set number of controllers that can be used simultaneously to play. Up to two players can now play simultaneously on the (PS4 Link) remote play.